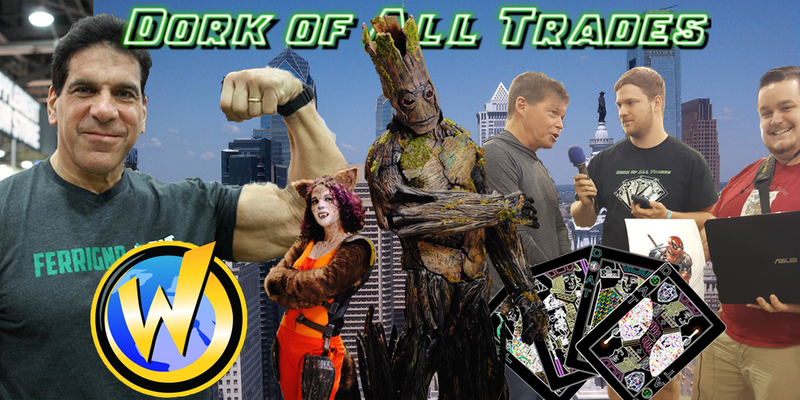 Our Hosts, Tim & John invite Demi and Brett on to discuss Wizard World Philadelphia! 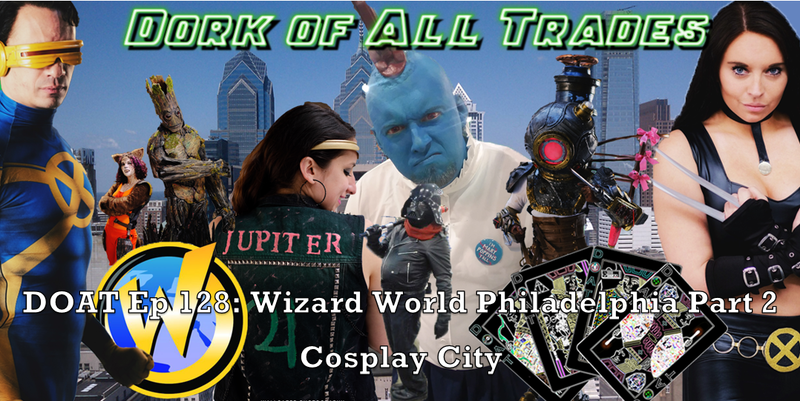 Topic(s): Wizard World, Artist Alley, Wizard World Entertainment, Michael Rooker, Michael Rooker vs the Audience, Henry Portrait of a Serial Killer, Mallrats, Slither, Walking Dead, Merle, Yondu, Guardians of the Galaxy, Demi and Brett, Broke Cosplay, Cosplaying, Cosplayers, Groot and Rocket, Ego the Living Planet, Black Widow, Poison Ivy, Fairy Godmother, Wizard World Cosplay Contest, Tir Na Fuil, Mythographers Workshop, Archery Tag, Superhero Speak, Nerd Podcast Mafia, Wizard World Expo, Celebrity Interviews, Wizard World Hall of Legends, Rob Liefeld, Deadpool creator, Deadpool, Neal Adams, Comic Book Artists, Fluffybuttons, Muppets, Kids Stage, DCEU Panels, Victor Danridge, Cosplay Contest Winners, Cosplay Contest, Wizard World Cosplays, Game of Thrones, Green Arrow, and More! Special Thanks to the following cosplayers and friends we met and made last weekend. Instagrams: @Kaylaina, @Voicesnacks, @Vanvalk, @Itsetp, Avi and Emily, @Fiddlewithmysticks, @Forever_Cosplay23, @mulhollandart, @phillycosplay, @rogelio223, @Wizyakuza, @Wallgazer, @MarlonDavid_Photography, @Cosplayenthusiast and of course the Medicpad Nanomax. Topic(s): Wizard World, Nanomax massager, Artist Alley, Wizard World Entertainment, Wizard World Expo, Celebrity Interviews, Lou Ferrigno, The Hulk, The Incredible Hulk, Marvel, Wizard World Hall of Legends, Rob Liefeld, Deadpool creator, Deadpool, Neal Adams, Comic Book Artists, Fluffybuttons, Muppets, Kids Stage, DCEU Panels, Victor Danridge, Cosplay Contest Winners, Cosplay Contest, Wizard World Cosplays, Game of Thrones, Green Arrow, and More! Special Thanks to the following cosplayers and friends we met and made this weekend.